Although Search Engine Optimization which is also known as SEO, is generally the subject matter discussed by web masters or experts promoting a particular website. This article is for those who wish to get some basic tips on how to finalize or appoint an Expert SEO Company after understanding their competence. As it will be very difficult to discuss the do's of Search Engine Optimization we will discuss the don’ts part of it. Before we discuss the above topic, let’s understand what SEO means? SEO or Search Engine Optimization is a process by which you ask the search engine robots to give you a priority in their search results when a particular term or key-phrase is searched. So if you wish to rank your site for a particular keyword or key phrase then one has to edit the source codes in such a way that it meets the requirement of various search engines factors together known as Algorithm, be it Google, Yahoo, MSN or others. As its always advisable to deal with a company which use only White Hat SEO techniques and completely avoids any Black Hat SEO techniques. Understanding the Black and White hat techniques is a vast topic and requires some good level of expertise, but to understand in simple words Black hat methods are the short cuts to success which generally do not last long and may lead to a ban on your website. So, ideally a genuine SEO company will never do the following things. Guarantee Top Search Engine Rankings - There's a lot of competition out there for any one to guarantee you the search results. It’s no longer a child's play. Offer cheap SEO packages - As mentioned, it needs experts to work on it and experts are never cheaply available. Yeah, they definitely can be affordable. Commit a minimum number of Enquiries - Ranks is what they can deliver, no one has control over your website visitor. So they are surely hiding some thing from you. Promise you top ranking in 24 hours or 1 week - Although its possible, but 80% to 85% of companies offering this are fooling around and the one who delivers will not promise. Place hidden text on web pages - Yeah, you caught them red handed, check some of the websites promoted by them and if you see any hidden content by pressing [Control Key + A] you have hit a bulls eye. Never allow them to work on your site, they can only help you get banned from search engine index. Keywords or Key Phrases stuffing on the webpage - One more thing which you can check very easily, just go to the Page Source from the browser menu and see if they have stuffed keywords and key phrases in the head tag or body tag of the web-page. This particular text is not visible on the web page but is only for search engine spiders to read and rank or rather punish you in case they are very high in number. Keyword stuffing is generally done in the head tag or as alt tags on images. Once you are happy with the above six points, ask the SEO expert or Company to show you some live results of their existing clients. You may also go to the extent of speaking to their existing clients and asking for their feedback on the SEM services provided by the said Website Optimization Company. 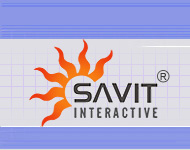 SAVITTM - An Indian SEO Company that provides clients with effective and affordable search engine marketing solutions.